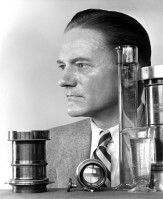 This website is a presentation of the life work of world-renowned photojournalist A. Aubrey Bodine, a photographer in the pictorialist style, who worked at the Baltimore Sun for 50 years  from 1920 until his death in 1970. Click here to open our business page on Facebook! Please like us and check our page for Jennifer's daily posts. Free Gift with Purchase! A free note card (our choice) will be included with every order! Original Vintage Photographs. from the Bodine Family Collection are available for purchase. 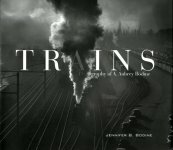 Trains - Jennifer's latest book is now available. $29.95 - click for information. Read A Legend in His Time, the biography of A. Aubrey Bodine written by Hal Williams, his editor (boss) at the Baltimore Sunday Sun and life-long friend. Are you a collector of Vintage Photographs? We have Original Vintage Photographs, all printed exclusively by A. Aubrey Bodine. Give a very special gift to an art lover. All of these wonderful images are available as Photograph Reprints, Note Cards and, one of these days, PC Desktop Wallpaper. Please visit our Gift Shop to learn more. We create card packs by selecting a small set of images according to topic. Each pack of note cards has from four to eight blank note cards with envelopes. Themes are collections of images that draw from several categories to highlight a region, an activity, or just a special selection of images from among the 12,500+ images published on this website. Select from 250 categories to locate your favorite images from among the 12,500+ images published on this website. All email addresses that have been entered in the past have been deleted and will need to be resubmitted. Check back for details. Brief Note about Website Image Quality: Website images are 75 or 96 dpi and JPG compressed. Each photograph image starts as a 48 million byte digital file. The thumbnail images are about 4,000 bytes and the large images are about 30,000 bytes. Consequently, image quality on this website is greatly compromised. All AAubreyBodine.com note cards and reprints are printed at photographic quality using a retouched digital image file.